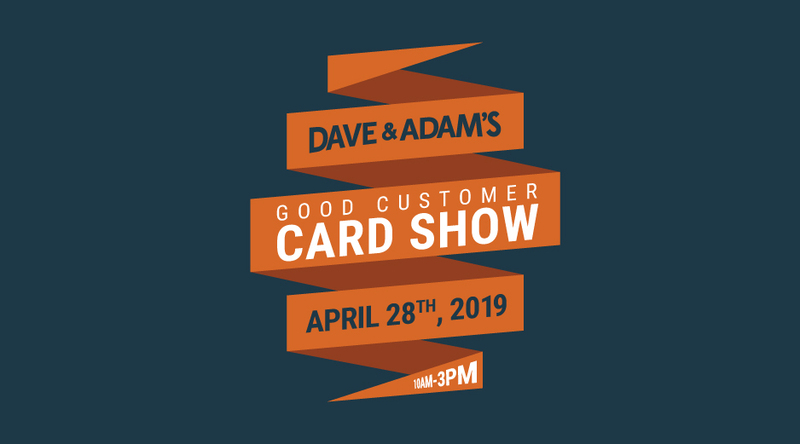 On Sunday, April 28th, we be our next Good Customer Card Show. There will be over 30 tables set up with a huge assortment of cards and memorabilia available!! We will have a member from our buying team here that day if you are looking to sell anything from your collection!! Also, we will be offering 10% off all trading card purchases during the show!! Check back because we will be announcing who will be here for the signing shortly! !